An easy excursion along undemanding paths, including an old military route, with a very scenic end section. The itinerary departs from Medeglia, which can be reached by postbus from Rivera Bironico in just under 20 minutes. Crossing through the village in a northerly direction, the path first bends east and then heads north again. It takes around 45 minutes of easy walking to reach the Monti di Medeglia, a large basin home to a number of renovated rustic buildings. Near an age-old oak turn onto the mule track that heads north-west and then north to the dirt track from Medeglia. Now follow the signs pointing east-north-east until coming the vista opens up after around 25 minutes, offering wonderful views over the Magadino Plain. From here an old military road heads east towards the Alpe del Tiglio and west to the peak of Medeglia. Those wishing to visit this panoramic destination should follow the military path, which formerly served a number of artillery stations on the far side of the peak. A 50-minute-walk will take you to the top at 1260 metres above sea level. Despite not being particularly high, a stunning all-round view can be enjoyed from this peak. On the return journey you can either head north-west towards Bironico or west towards the Mount Ceneri pass, which takes around 1 hour and 40 minutes on foot. Meanwhile, those wishing to visit the Alpe del Tiglio with its imposing masts should follow the same military road in the opposite direction. It takes around 20 minutes to get to the Alpe del Tiglio. 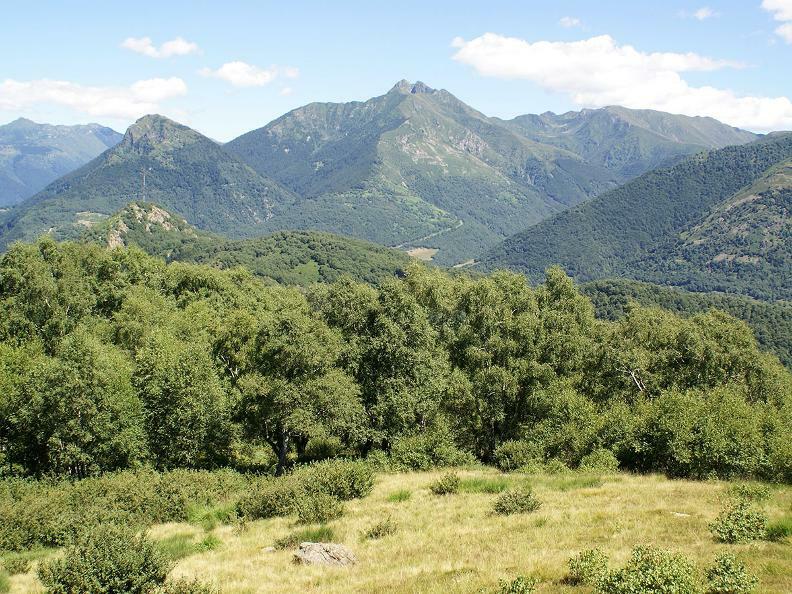 You can descend from there in the direction of Isone or in the direction of Sant’Antonino or Camorino.